Getting into an Ivy League school is something that remains a dream for many people mainly because their personal statements are not correctly typed up. This letter is your golden ticket to the big leagues which is why it has to be perfect. It can make you or break you; offer you the chance of a lifetime or completely destroy it; it can guarantee a successful career or leave you disappointed forever. It is crazy to believe that a piece of paper holds all this power. It is for this exact reason that you should make use of a personal proofreading service. These services are mainly aimed at scholars who want to get into a good school, and they edit their statements in a way that matter. Personal proofreaders know what to look for to make your application stand out by simply highlighting keywords here and there. They also make your application look much more professional simply because they are trained to do it. Here are a few important reasons why you should be making use of a personal proofreader regarding your scholar statements. If you make use of a proofreading service, then you become the client, and the client is the most important part of business. Your personal proof-reader will go to great lengths to ensure that your piece is of the best quality and that people want to read it immediately. People who make use of personal proof-readers have shown to have a higher acceptance rate in medical schools, law schools, business schools, and dental schools, simply because they had an error-free statement. Not only will your proofreader make your statement stand out amongst the rest but they will take what you have written and improved it. 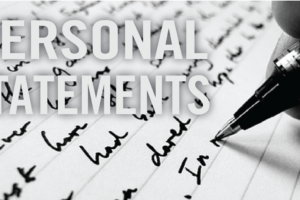 Your statement will still be in your words, and it will still ring true to who you are, but any possible errors that might have seeped through will be eliminated. Personal proofreading services include grammar correction, checking of sentence structure, fixing spelling mistakes, fixing punctuation errors, selecting the appropriate word choice to suit the message, keep consistency, and use a proper style guide to address the people who read it appropriately. Personal proofreading services go beyond just fixing your work; they also go out of their way to ensure that you know where you went wrong so that you can learn from your mistakes and improve them next time. You will receive feedback on everything regarding the proofreading process, on editing, underdevelopment, points of confusion, overall strengths of the piece, missing information that you have excluded, and overall weaknesses. 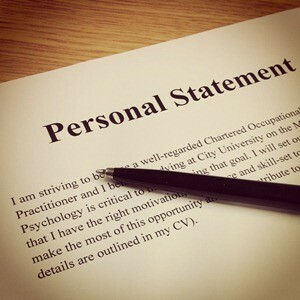 It is clear that a personal proofreading service is a great investment when it comes to building our future.